Deluge Valves are used in conditions that call for quick application of large volumes of water and, for that reason, are often integral components in fire protection systems. 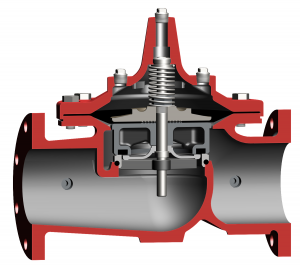 In this article, PIF explain how deluge valves work, what their advantages and disadvantages are, and where you can lay your hands on one. Deluge systems deliver large quantities of water, over a large area, in a relatively short period of time. They are commonly used in fixed fire protection systems whose pipe system is empty until the deluge valve distributes pressurised water from open nozzles or sprinklers. Deluge systems contain more components and equipment than wet pipe and dry systems. So for that matter they are more complex. Detection systems can include heat, smoke, ultraviolet (UV), or infrared (IR). Deluge systems are used in conditions that require quick application of large volumes of water. They create a 'buffer zone' in hazardous areas or in areas where fires can spread rapidly. They can also be used to cool surfaces to prevent deformation or structural collapse. Or to protect tanks, transformers, or process lines from explosion. Other examples include: tanks containing combustible solutions; equipment pits; storage or process areas containing substances with a low flash point; or product handling systems. Viking are a popular manufacturer of Deluge Valves. Watch this video explaining their Electrically Operated Deluge System. TYCO are also market leaders in Deluge Valves and systems, this video demonstrates their Model DV-5 Deluge Valve Wet Pilot Actuation system. The Inbal Deluge Valve is FM and VDS approved to 300 psi (21 bar) in sizes 3", 4", 6", and 8" (80, 100, 150, and 200 mm). It is compact, lightweight, and comes provided with a preassembled trim - all of which simplifies and speeds up installation. The Inbal Valve opens quickly, yet smoothly, preventing water hammer and is designed to prevent false tripping. Plus, it can be reset by a thumb-activated knob. 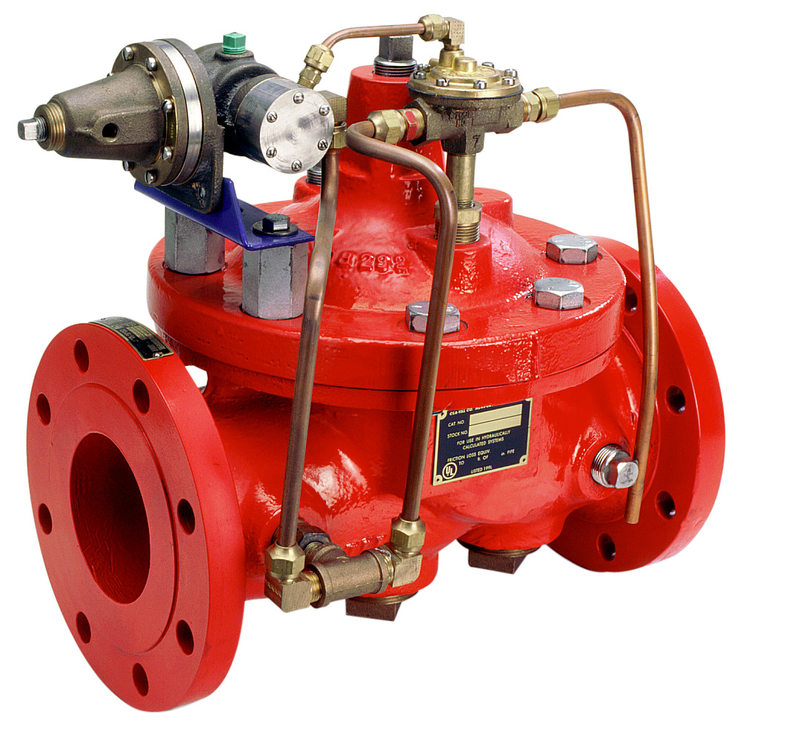 Cla-Val Hydraulic and Electronic Deluge Valves offer superior performance and durability in the most critical of fire protection applications. The electric/solenoid-operated Series 134 is an on-off valve that automatically opens upon receiving an electrical signal, to the solenoid pilot control, to rapidly fill fire protection piping. They are available in a wide range of materials that are poured in Cla-Val's own onsite foundries for quick delivery. Requires a large water reservoir to operate.